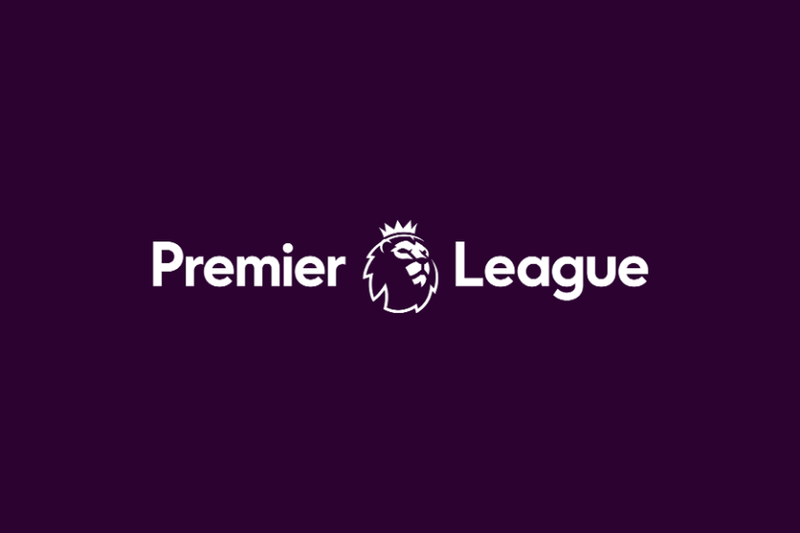 The random fixture generator used by the Premier League has given us a day to savour on Sunday, with three local derbies all televised live back to back. A thrilling day of football awaits us, and many people will be tuning in to the three games, which all have their own storylines and intrigue surrounding them. Things are about to really heat up in the Premier League, with December being a very busy month for many clubs. Not only do we have midweek games next week, but then there are European games, followed by the next round of the EFL Cup and then we hit Christmas, with the additional game being played then. There are many points to be won and lost over the coming weeks, and clubs will want to do all they can to get into the best possible form ahead of that busy period. All six clubs that play on Sunday will want to get something from their games that gives them a boost, and there is no reason to think that isn’t possible. Make sure you are ready to sit back and relax and watch all the action unfold as six Premier League clubs do battle from 12 pm until 6 pm on Sunday. The first of three games is the one that most people will see as a game that Chelsea can win comfortably. That may be the case, but there is a fascinating story around the game, as well as it being a local derby. That is, of course, the appointment of Claudio Ranieri at Fulham, and in just his second game with the club, he gets the chance to go back and haunt one of his former teams. Chelsea comes into this clash on the back of a big defeat away against Tottenham at Wembley last weekend, a game in which they were very poor. They have to be better here, and steadied the ship with an impressive 4-0 victory over PAOK on Thursday in the Europa League, although a few first-team players were rested for that game. Fulham are bottom of the Premier League going into this game, although Ranieri did pick up a win in his very first game in charge last weekend. That pulled The Cottagers to within one point of safety, and getting out of the bottom three will be the first aim for the Italian manager. They spent big in the summer, and have potential in the squad to do a lot better than we are seeing right now. Chelsea is not the easiest place to visit, but they have nothing to lose, no one expects a win, and Ranieri would love to get one over on his former team. Many people will be expecting a walk over here, but I think it will be a lot closer than that, and Fulham will give this a good attempt. I don’t think they will win, but they more than have the ability to keep this tight and that will result in Chelsea winning this, by just a one-goal margin. This is the first of two meetings between these teams this month, with the EFL Cup quarter-final coming up just before Christmas. Both teams are doing well so far this season, Tottenham are up into third place after their win over Chelsea took them above The Blues, while Arsenal are back in 5th, three points off Tottenham and one point away from a top-four spot. Tottenham are getting used to finishing inside the top four, and again that is their aim this season. They were criticised for not signing anyone in the summer, but many of their players have improved due to age and experience, so although no new faces came in, I think they have improved as a team, and don’t deserve the criticism they are getting for that move. This is the third big game in the space of a week for Tottenham, they won against Chelsea, beat Inter Milan, can they add Arsenal to that list? Both teams come here on the back of European games, although Arsenal were able to rest a lot of their players for the trip to Ukraine. That will surely impact Tottenham, especially as this is their third big game in the space of a week, and that is enough to prevent Spurs from going to Arsenal and taking all three points. I think they are good enough to get something though, so I’m going with the draw here. One thing Liverpool do have to do here is bounce back from what was an extremely disappointing night in Europe on Tuesday. They lost against PSG in France to leave their qualification hopes hanging by a thread, and they cannot afford to let the disappointment of that affect their league form. They have been fantastic in the league, and look as though they are credible challengers to Manchester City this season, I don’t think Liverpool are going to fold and fall away. Everton have been impressive for most of the season, and not only have they been picking up points, but they have been playing some very good football. They like to attack, and can quickly break and hurt teams. With Liverpool playing a dominating attacking style of play, they will have to watch out for Everton winning the ball and breaking quickly against them. I don’t expect Everton to go to Anfield and try to contain Liverpool, they know they are best when attacking with pace, and that should lead to an exceptionally entertaining game of football. This should be the best game to watch out of all three, although they all look to be good games. Everton will try and attack Liverpool, but while that is their best chance of winning this game, I don’t think it will be enough for them to pick up the points. I expect Liverpool to get the win here, they have a better defensive unit and if this game is open and decided by the forwards, they have a far better chance of stopping Everton than The Toffees do of stopping Liverpool. The three home teams are all favourites with the bookmakers to win their games, although while Chelsea and Liverpool are strong odds-on favourites to win, Arsenal are just favourites for their tie against Tottenham. Chelsea are the strongest favourite of the day at 1/6, with many people expecting them to win this comfortably. Fulham can be backed at a huge 16/1 for the win, while a point for both teams is available at 13/2. Those who think Fulham can keep this tight like me may be interested in Fulham +2 on the handicap line, priced up at 6/4. The bookmakers are struggling to split them in the North London derby, with Arsenal at 6/4 and Tottenham at 13/8. That shows there is little to choose between these, and that is why I fancy the draw here which can be backed at 5/2. The final game looks a cracker on paper and Liverpool are priced up as the 4/11 favourite for this one, with Everton available at 15/2 and the draw at 4/1. This should be open and full of chances but it is Liverpool who I think will just find a way through. The three games on Derby Day are covered by the Ladbrokes enhanced accumulator for new customers, so if you are looking for a bet on the games and want a new betting account, be sure to take a look at this offer. They are offering the enhanced price of 70/1 on Chelsea, Arsenal and Liverpool to win the three English games, along with Barcelona to win in Spain. This is a huge price compared to the odds available elsewhere and a great way to get involved in all three games on Sunday from the Premier League. Many people will be looking for a simple and easy way to get involved in the games on Sunday while they are watching them. This will usually include a bet on a first goal scorer for a lot of punters, and if that is you then be sure to head to Betfred where you can get a great bonus if your player scores two or three goals in the game. The double delight / hat-trick heaven promotion is running on the Arsenal vs Tottenham and Liverpool vs Everton games this weekend. If you back a first goal scorer and you win, and then he goes onto score another goal in the game, you will receive double the odds on your bet. If he scored a third, you will receive treble the odds. This is a great way to potentially win additional funds, all because you placed the bet with Betfred.